An affordable and energetic compact luxury sedan, the BMW 3 Series is a hallmark of the German-engineered luxury brand at Certified Autoplex. When you pair an elegant style with BMW-brand engine options, a luxury-infused interior and a smorgasbord of innovative features, BMW 3 Series stands out from the automotive masses. 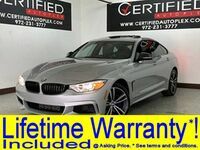 Enjoy all the benefits of the BMW brand at an affordable price when you get behind the wheel of a used BMW 3 Series in Carrollton, TX. 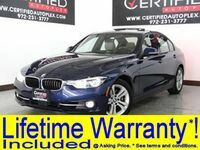 If you are looking for an athletic compact luxury sedan, you will find few models that are more impressive than the BMW 3 Series. Available in classic Sedan, spacious Sports Wagon and performance-tuned Gran Turismo editions, the BMW 3 Series can be tailored to fit your lifestyle and budget. 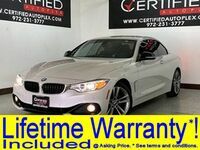 Pre-owned models available at Certified Autoplex in the Dallas-Fort Worth area possess the added advantages of affordable price tags, low mileage and available lifetime warranties. What are you looking for from a pre-owned luxury sedan? An affordable price tag? Performance-tuned and track-ready powertrains? Luxury-infused interiors? Innovative technology and features? 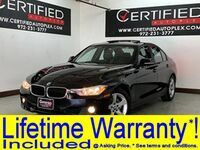 When you choose a used BMW 3 Series model in Carrollton, TX, you will enjoy all of the above at Certified Autoplex. Visit Certified Autoplex today in the Dallas-Fort Worth area and get a great deal on a pre-owned luxury vehicle! Available in a plethora of trim levels, BMW 3 Series models all have one thing in common – unrivaled performance. Entry-level BMW 320i editions play host to a 180-horsepower 2.0-liter TwinPower Turbo four-cylinder power core that delivers exceptional power and efficient fuel-economy ratings. Drivers who opt for the BMW 330i will enjoy a more powerful variant of the 2.0-liter TwinPower Turbo engine and an upgrade to the BMW 340i adds a 3.0-liter TwinPower Turbo inline-6 engine. Additional powertrains include an ultra-efficient plug-in hybrid and a hard-working turbodiesel. BMW xDrive All-Wheel Drive is an added asset when you want to amp up performance. Within the scope of the compact luxury sedan class, the BMW 3 Series is an affordable and value-packed choice. Standard fixtures for BMW 3 Series models include premium interior, 17-inch alloy wheels, push-button start, a 6.5-inch BMW iDrive touchscreen display, a nine-speaker sound system and Bluetooth connectivity. 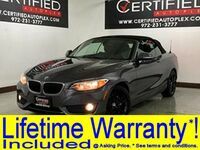 Additional highlights of pre-owned BMW 3 Series vehicles at Certified Autoplex include navigation technology, premium leather interior, heated front seats, advanced safety systems, wood interior trim, a panoramic moonroof and much more.